Erez Answers: I was fascinated by new vulnerabilities and ways to exploit them. Jessie Asks: What professional contribution do you hope to add to the field with your work? Do you have long-range goals for contribution? Erez Answers: I really enjoy teaching people how to properly write secure code, investigate new discoveries, find new vulnerabilities, and figuring out how to demonstrate them to other people. It’s not a trivial subject since the reconstruction of the entire scenario and the building of the proof-of-concept can be very intricate. Jessie Asks: What are you focusing your attention and activities on this month? Erez Answers: I’m focusing on Android Security as a whole. I’m creating new, updated content for our ongoing training courses based on what’s happening now in the field. I’m constantly constructing and improving our AppUse Android penetration testing platform and tools. Jessie Asks: What are the recent research topics and interesting findings that have caught your eye this month? Erez Answers: I learned a lot of new things about android internals lately. It’s really cool. 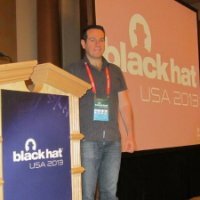 Regarding interesting findings, I guess the router backdoors found in many network devices, the fact the devices come with built-in hidden surveillance capabilities, and the whole espionage fiasco between the USA and other nations made me start to think that everyone is eavesdropping on everyone these days. There are no secrets anymore. Jessie Asks: What are some new changes you’ve seen in the field of cyber and application security over the last year? Erez Answers: I’ve noticed that developers are more aware of the overall challenge. They understand the importance, the basic vulnerabilities, and the countermeasures needed. They are getting more involved in more advanced topics now. Management of the companies has become more focused and important. Jessie Asks: As of this month, what do you think is the top threat worth solving, and why? Erez Answers: I think the main threat is the fact that there is so much personal information out there and available. Most people don’t know what’s going on with that personal information, what happens to it when it’s sent back to the servers, and what those collection companies are doing with it. The threat is real and it’s being take advantage of on a daily basis. The fact that there are still so many people who still don’t pay attention or are aware of the state we’re in, is the major threat. Jessie Asks: Where do you think researchers should focus their attention overall in the field of Cyber Security for the next 3 months? Why? Erez Answers: I guess that field would be mobile application security. As mobile computing is new, we as security experts know less about this in comparison to “traditional” applications such as web apps, desktop apps, etc. Mobile apps are riskier than web apps (their server side contains all the vulnerabilities in a similar manner as other web apps PLUS additional client side vulnerabilities related to mobile apps). It’s good that developers are getting on the security train sooner rather than later. Addressing security issues during the development cycle, as opposed to after the project is done saves on time (in the long run) and makes it easier to close loopholes.